Are you travelling to Vadodara in the upcoming days? The reason for your travel may be some business tour, or attending a friend’s wedding, or may be for a visit to the city, or just about any other, hiring a cab rental is always recommended. And when it comes to choosing a cab rental provider, Tixilo is the one that is often suggested. This is because of the amazing services it offers that too at affordable prices. So if you happen to be travelling to this cultural capital of Gujarat, you must book a taxi online at the Tixilo website today. Why a Tixilo hot one way from Ahmedabad to Vadodara? 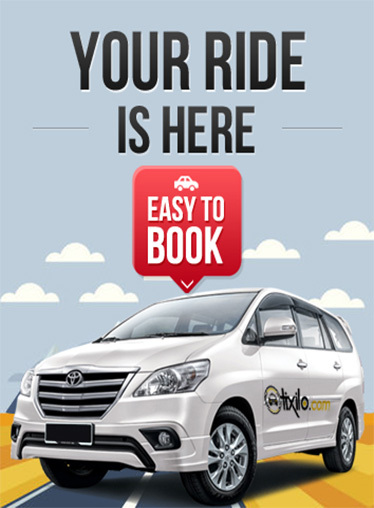 Being an experienced and reputed taxi service provider, the Tixilo car rental service is often favored by many travellers. We, at Tixilo offer clean and well maintained one way cabs at quite affordable price, ensuring a safe and hassle free ride. You can easily hire a taxi of your choice by booking it from our website, or from the Tixilo app. Distance between Ahmedabad to Vadodara is approximately 112 kms which is covered in about 2 hours in a Tixilo cab. We offer hot one way taxi service from Ahmedabad to Vadodara at pocket friendly prices. We also make sure that our taxi services offer safety and much desired comfort during your journey. We offer a one-time pick up from anywhere in Ahmedabad and one time drop to Udaipur at affordable rates. We further assure that the cab that you booked for your one way trip from Ahmedabad to Vadodara picks you on time. We ensure of providing quality one way taxi service form Ahmedabad to Vadodara. Check out the list of advantages of booking a Tixilo. · Reliable, safe and comfortable taxi services. · Wide range of choice of Sedans and SUVs. · Ride luxuriously in Audi, BMW or Mercedes.